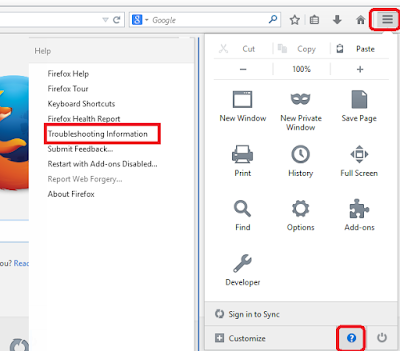 If you are facing any major issues in Firefox and you are not able to fix that, there might be many reasons behind Firefox not working properly, crashing, slow down, instead of uninstall and install you can do one thing; just reset the Firefox, this will reset firefox as a default setting; the reset will keep cookies, browsing & download history, bookmarks and will delete extension, themes, plugins, etc. 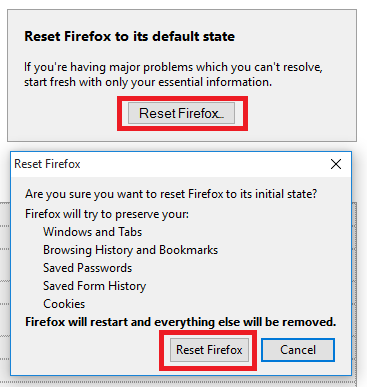 To reset Mozill Firefox follow these steps. 2. Click on “Reset Firefox” and again click on “Reset”, and after this “Finish”, Firefox will create a “Old Firefox Data” folder on your desktop if you want you can restore them. 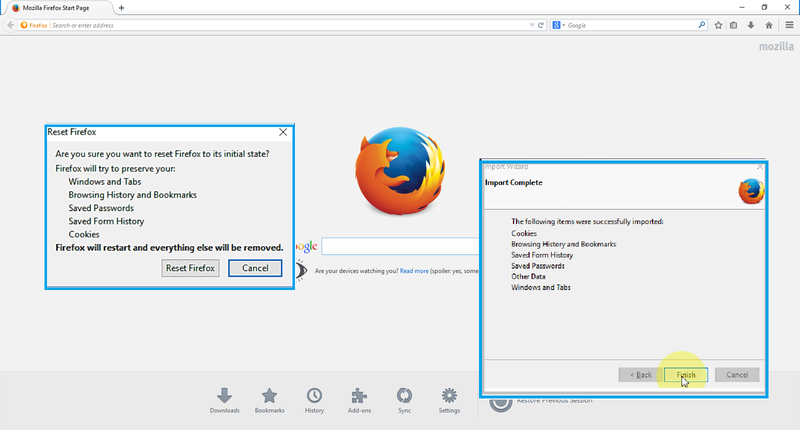 · Open windows and tabs.